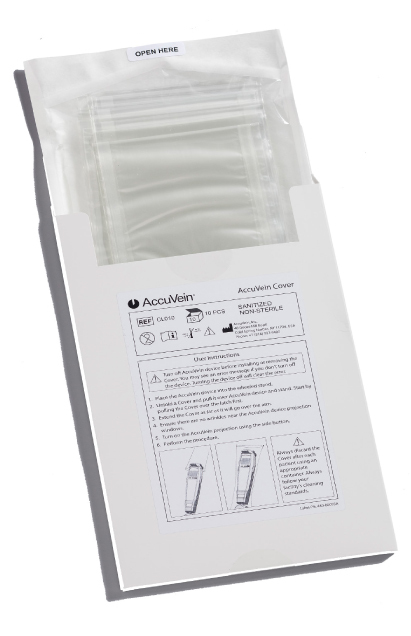 These single use covers provide an added layer of protection and do so without compromising the crisp vein image that you’ve come to expect from AccuVein. 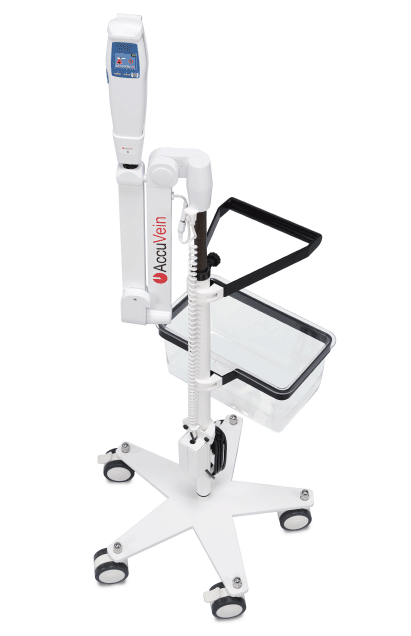 This is because the covers have been designed specifically for the AccuVein device. They’re easy to put on and remove, enveloping your device and the entire arm of the hands-free stand with a thin but strong polypropylene cover. 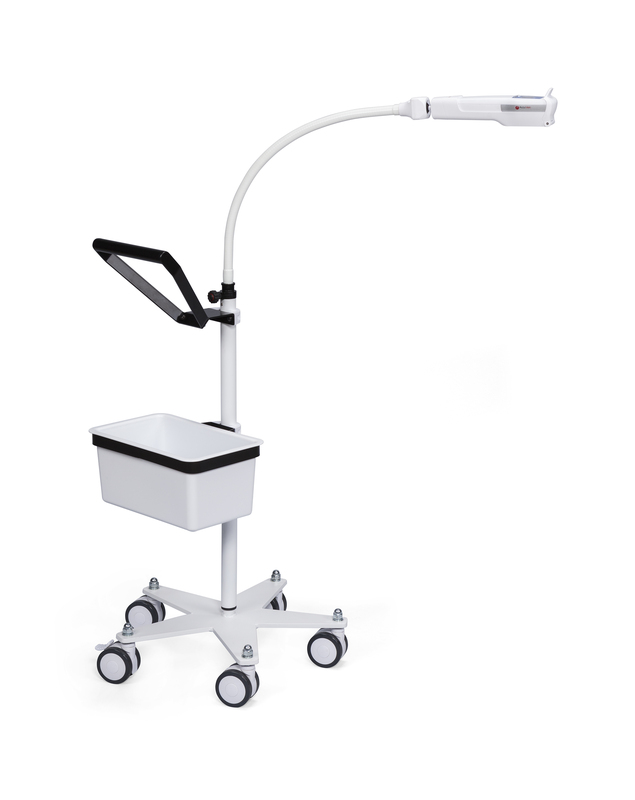 The HF450 hands-free stand can be wheeled over to the bedside or chair. 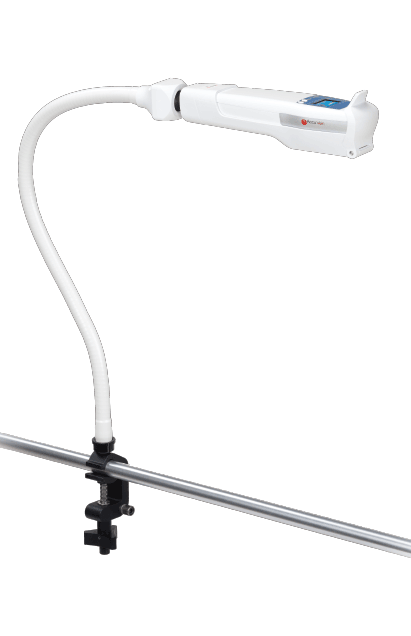 Its easy to move flexible arm allows for maximum maneuverability. 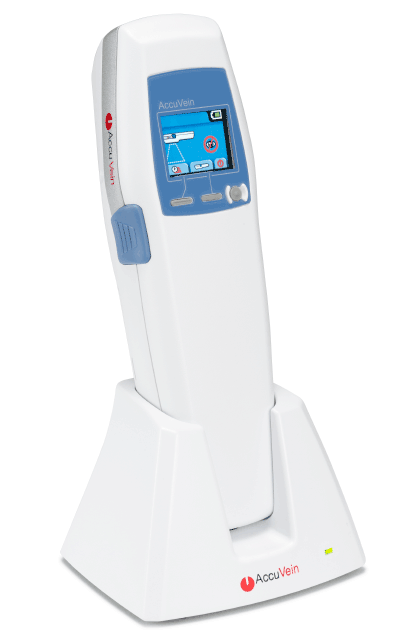 Just place the AV400 into the HF450 after assessing the vasculature and you’re ready to go! For the caregiver who doesn’t stay in one place, this portable hands-free solution consists of a pole clamp and a flexible arm. When not in use, the device folds so it can easily be carried. This configuration comes with the clamp (below) that can attach to poles such as a rounded bedrail or an IV pole and flat surfaces. Just attach it and you’re hands are free to perform the procedure.